If you're a film director in need of a big blockbuster, make one of these stories into a movie. The era of Group B in rally was one of the greatest in all of motorsports with drivers and cars that consistently pushed boundaries. It was also the most dangerous, cancelled in 1986 after the deaths of both drivers and spectators. This German couple, along with their G300D named Otto (pictured above), traveled the world, visiting 215 countries and putting 900,000 kilometers on their indestructable Gelandenwagen. I'm certain Mercedes would gladly pitch in some cash to help the movie version of their story be made. Lewis Hamilton and Fernando Alonso bickering. Spygate. Comic relief from eccentric mumbler Kimi Raikkonen. The 2007 F1 season is the next Rush waiting to happen. The Gurney Eagle didn't win any championships, but remains the only American made car to win an F1 Grand Prix and Dan Gurney is one of just three drivers to win a Grand Prix in a car of their own make. Plus the Eagle would look fantastic on the big screen. We somewhat take Mario Andretti for granted here in the US but he is the only driver to ever win the Daytona 500, Indy 500 and a F1 World Championship. One of the most stunning careers in the history of motor racing. The story of Tesla's rise is one of the most unlikely and incredible in modern automotive history, and thus deserving of a movie. Robert Downey Jr. could play Elon Musk because Tony Stark. The story of Randy Lanier wouldn't need any dramatizing to be a great movie – all of the elements of a compelling story are already there. This high speed obsessed. Japanese street racing gang is one of the most secret and fascinating of all time. Reader TokyoBayAquaLine has been researching this group for an eventual book and can tell you why their story deserves a movie.
" They did it back when Wangan was a relatively empty vast system at night, and did analytical calculations (therefore creating rules on passing) of traffic flow and the way it moves so as to calculate their best possible average speed. They were far more than just a simple "get on the road and speed like punks" group. Their cars were the fastest and most reliable cars in the world at the time, and they spent ludicrous amounts of money to achieve their goals. The rest is history, for better or worse." The story of Ford beating Ferrari at Le Mans in 1966 is so good it's actually going to be a movie entitled Go Like Hell, based on A. J. Baime's book of the same name. I'll no doubt be first in line to see it. 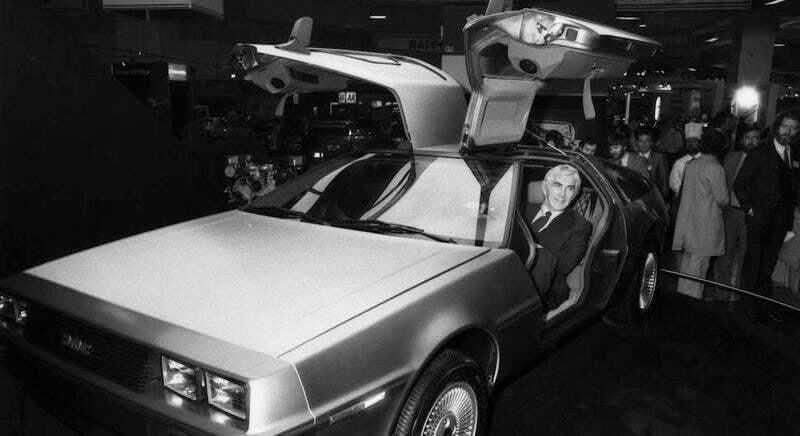 The story of John Z. DeLorean's DMC-12 and the cocaine scandal that followed is one of the greatest farces of the 1980's, and could easily be a great movie. It was by far the most common suggestion in yesterday's question and for very good reason.